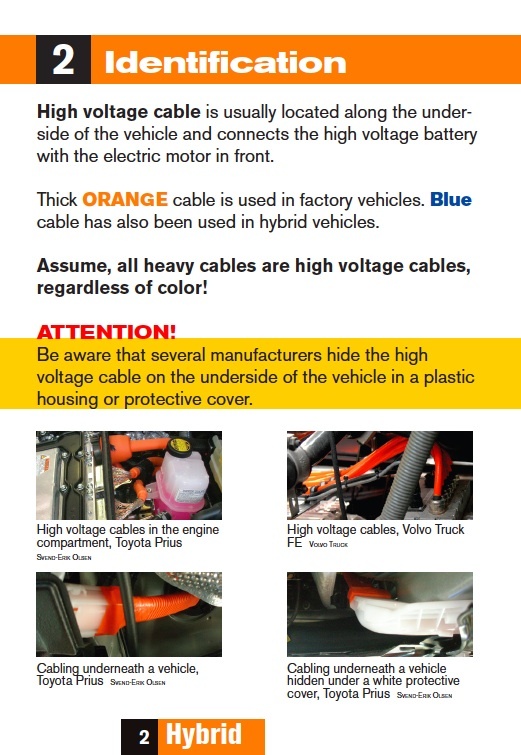 Documenting The Pursuit – "For Love of The Craft"
Initial reaction for the new Firehouse Pride “Emergency Response Guide for Electric, Hybrid and Hydrogen Vehicles” has been very exciting and positive. However, from comments online and reaction from those who have not seen the book in person we discovered that there is a segment of the “Firefighting Community” that feels this book is just like the rest, they already have something similar, or they would never use a response guide. To show how confident we are in the product, it’s conciseness and user friendly layout, we are putting our money where our mouth is to prove you will not be disappointed by the “Rescue Guide”. This offer is not a trick, gimmick or scam, it is Firehouse Pride proving to our customers that we truly stand behind the products we bring to you! Visit our Online Store and purchase a guide for $14.95 plus s&h. If you are not completely satisfied with the quality of the product or the information in it, simply ship it back to Firehouse Pride, PO Box 377, Barnesville, MD 20838 within 10 days, along with your reason for disliking the product. We will send you a 200% refund check for the Rescue Guide invoice price and 100% of your shipping & handling. Limit 1 guide return per customer, this offer is to allow you to try the product out before large quantity purchases. Guides must be postmarked within 10 days of initial delivery date. Guides must be in new, unused condition when received by Firehouse Pride. Thats it, thats all. You don’t like the product, you return it, tell us why you didn’t like it and get twice your money back. Don’t wait, order yours today! 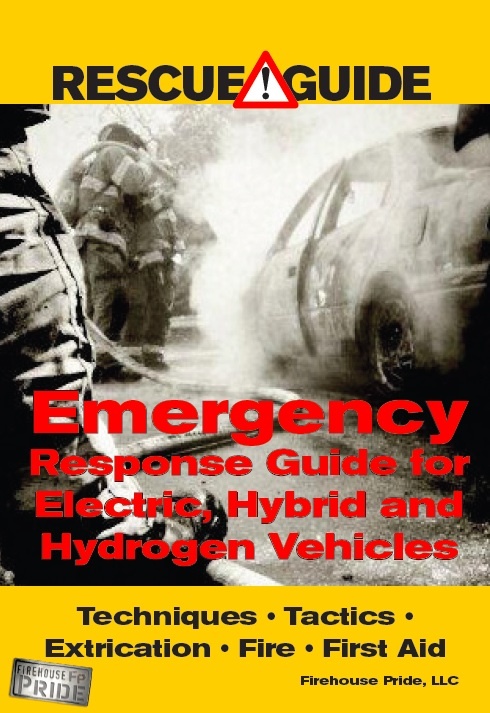 Firehouse Pride is proud to announce the exclusive release of the English version of the Danish “Emergency Response Guide for Electric, Hybrid and Hydrogen Vehicles”. This 4″x 5.75″ high quality laminated guidebook is a no-nonsense palm of your hand reference for the street level emergency worker. It’s easy to locate tabs allow the user to quickly access need-to-know information about electric, hybrid & hydrogen vehicles. Each section takes the reader through vehicle identification, deactivation, extrication and firefighting concerns. There is also a section outlining special considerations in first aid treatment of injures related to electrocution and acid contact. Each section also has a notes page for individual rescuer comments. Unlike other vehicle rescue guide books, this 60 page, glossy reference doesn’t overwhelm the first responder with unnecessary information. The “Rescue Guide” streamlines the most immediately important information straight to the rescuers fingertips so that they can make educated decisions in a time sensitive situation. Call For Pride in Action Pictures!